If you’ve been running out of room to store all your stuff, and spend your time wishing you had a walk-in closet or a spare room, it might be time to start getting a bit more creative. 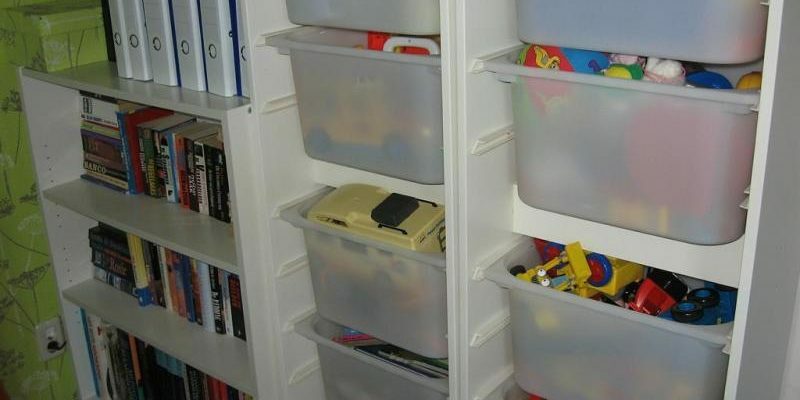 Keep reading for a list of simple storage solutions that anyone can implement. These solutions will help to minimise the clutter in your home, providing you with a much less stressful place to live. If you haven’t got any space in your room for shelves, a shallow cabinet could be the ideal solution. These are specially designed to fit behind doors and other obstacles, as they blend into the wall rather than sticking out from it. To build a shallow cabinet, you need to remove the drywall. Make sure the spot you choose doesn’t interfere with any plumbing or electrical cables, and saw into around ½ inch of drywall. You can then construct shelves to add into the space. This type of cabinet is especially ideal for use in a garage. Lots of closets have an unused space, so why not make more use of this by creating a closet cubby? Simply purchase a set of wire shelves and add them to the floor in a space that is rarely used. You can then add shoes, t-shirts, or anything else you like. This is the ideal solution for the fashionista who never has enough space for her clothes. If you have shelves in your home that seem to waste a lot of space, why not make them into a double storage unit? All you need to do is measure and construct a second shelf and add it on top of the one that is already in place. Even if it is placed above arm’s reach, you should be able to add items that you don’t need very often. You’ll just need to have a stool close by to be able to reach them when you do. Most doors have very little attached to them, which is a shame as they are the perfect place for organising items, especially in a garage or shed. To add storage space to one of your doors, simply screw a piece of plywood onto the back of one, and then add hooks or wire baskets to the plywood. You can then fill the baskets or add items to the hooks, freeing up more space where you need it. Is your bath surrounded by shampoo, bubble bath, and shaving products? If so, why not install a glass shower shelf above your bath where you can keep these items altogether neatly? If you mount the shelf up high, you shouldn’t come into contact with it, aside from when you reach for the products you need. Adding extra storage space within the home can help to make your property feel less cluttered. Hopefully these tips have given you a few good ideas. Next Post:How Important Is Gutter Maintenance?